Japanese TV Special 003: "Poketto Monsutaa Kurisutaru - Raikou Kaminari no Densetsu"
Pokémon Chronicles Episode 01: "The Legend of Thunder"
Kenta, Marina, and Jun'ichi are three Pokemon Trainers who have all gone their separate ways in pursuit of their dreams. Kenta and Marina reunite one day at a Pokemon Center and decide to have a battle to see how they've grown as trainers. However, the battle is interrupted when the sky turns dark and unleashes lightning bolts on our heroes! Marina's Muuma runs off, so Marina and Kenta chase after it. When she finally catches up with the ghost pokemon, she and Kenta witness two members of the Rocket-Dan, Bashou and Buson, trying to capture the legendary pokemon Raikou! 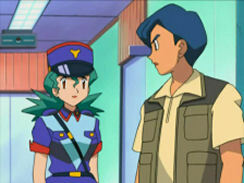 The young trainers want to help the pokemon, so they battle the two Rockets to prevent them from succeeding. After driving Bashou and Buson away, the young trainers take Raikou to a nearby Pokemon Center, where it heals the wounds it got in battle. Once the pokemon is conscious, it breaks out of the Pokemon Center and runs back to the wild. Kenta and Marina, who are eventually reunited with Jun'ichi, follow the legendary pokemon to the Rocket-Dan's "Crystal System," a device that is used to lure Raikou out of hiding. 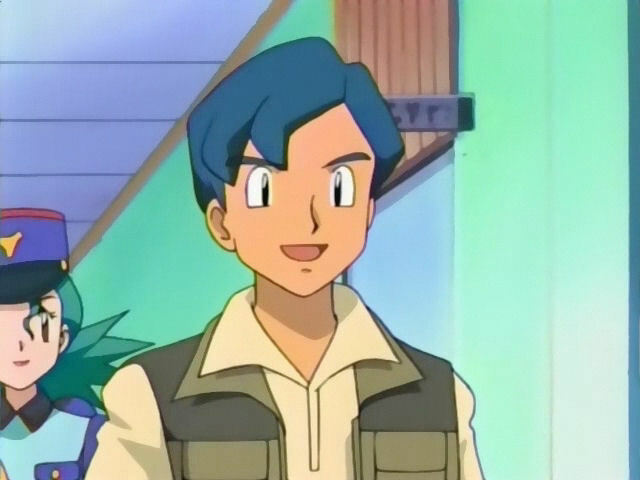 This time, the Rocket-Dan succeeds in capturing Raikou, but they also capture Marina by mistake! After the young "Idol Trainer" helps the pokemon escape, Bashou and Buson turn the ship around and begin to chase after it again. Their search brings them face-to-face with Kenta and Jun'ichi, who vow to rescue Marina and protect Raikou! Raikou fights back and frees Marina, but the Rocket-Dan still has a few tricks up its sleeve. By changing the Crystal System's settings, they are able to sap Raikou of all its strength! Our heroes band together to stop the device, and after a long and frenzied fight, the Crystal System is destroyed. As Bashou and Buson flee the area, Raikou returns to the wild where it can finally live in peace. After our heroes rest up a bit, they all go on their separate ways again, vowing not to forget the wonderful adventure they all had together. So here I am, revisiting "The Legend of Thunder." In case you missed it, I did a comparison for the TV Special turned three-part Pokémon Chronicles episode a while ago. So why am I making another page for the special? To show the differences between the version that aired on television in the UK and the DVD version! And would you believe the DVD's even more edited than the version shown on TV? First thing's first - all of the edits that occurred in the TV version appear on the DVD, which hasn't been released in the US yet. This page tracks the additional edits made for the DVD version, which includes extra paint edits and time cuts. First of all, there's some general stuff to point out. The version on the DVD is re-edited to flow more like a movie, meaning all the added opening themes, recaps, and TO BE CONTINUED... edits are removed for the DVD version. They weren't there in the Japanese version, since it wasn't broken up into three parts, so this change actually makes the dub closer to the Japanese version. 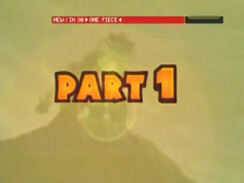 Also, the faux-letterbox effect that shows up in the TV version of Part One doesn't transfer over to the DVD. 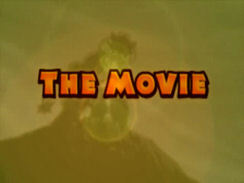 In addition, the title screen for Part Two and Part Three are taken out while the title screen for Part One is changed to read "The Legend of Thunder - The Movie" instead of "The Legend of Thunder - Part One." Yet oddly enough, they left the text in this shot alone. 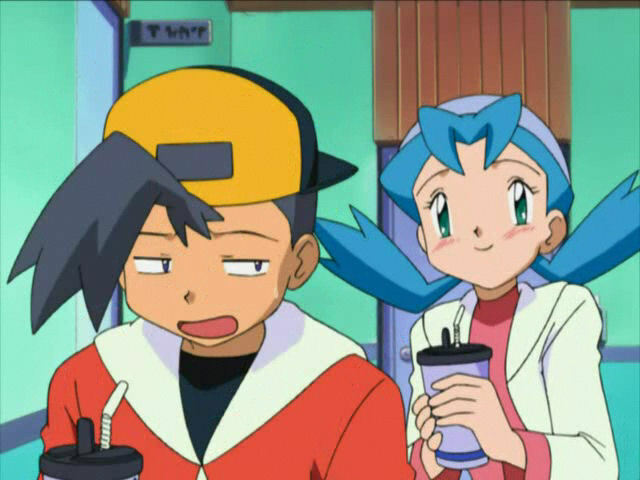 4Kids always liked to erase random text (or, in this case, scribbles) from all their other dubs, so I guess it was only a matter of time before they got around to doing it with Pokémon. Why they left it in the TV version but edited it for the DVD release is beyond me. The final shot of Raikou in this episode (which had the TO BE CONTINUED... text added to it in the TV airing) is shortened by three seconds in the dub. Hun: "The control unit's busted, but the crystal itself has officially switched over to auto-destruct. Tell them what that means, Atilla." Atilla: "It's power's twice as focused now!" There's a six-second close-up, in the TV version, of the crystal while Hun says "Which means your precious Raikou's history!" This is cut from the DVD. The ending credits seem to have been redone for the DVD version. The animation is the same as it is in the Japanese version, as opposed to the generic Chronicles ending the TV version gets. The only other notable thing about the credits sequence is that the DVD now credits Ikue Ohtani as the voice actress of Pikachu despite the fact that the pokemon didn't appear in this special at all.